I'm not good at captions, but it didn't escape my notice drugs were part of this scenario. 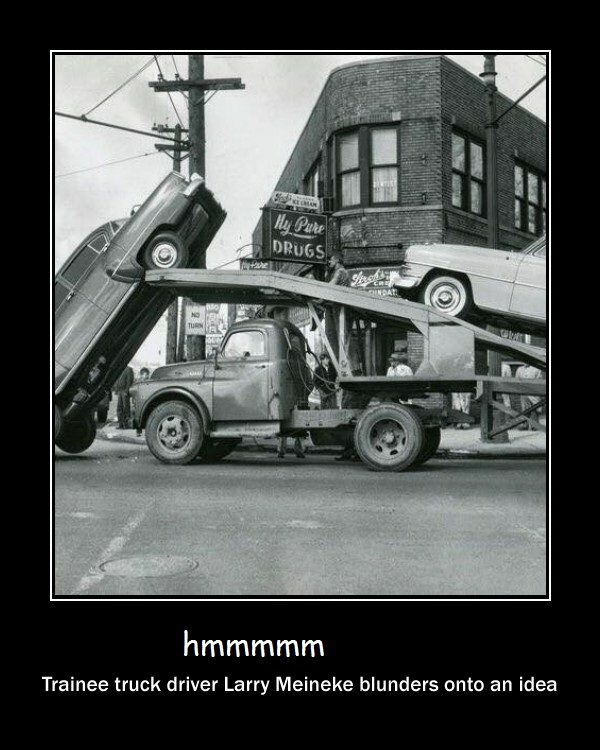 "And now you know what those big chrome bumpers are for"
Had I been there, I would have said, "Ooops" . Your brand new car has been delivered. This new truck stops on a dime! "Hit the road Jack and don't 'cha come back no more, no more , no more, no more"
I guess I flunked the aptitude test for this job, huh?